So I lied a little.This post has nothing to do with Rome and everything to do with Texas! As they say, “When in Rome, do as the Romans do,” so in Texas what should we do? Well, ‘The Texas Two-step’ to be specific. This particular style of dancing is like a mix of classic, ballroom & country dancing and it’s sooo much fun!! Okay, so I’m going to be completely honest with you… two stepping didn’t come all that naturally to me. However, I can successfully step on two other people’s feet if that counts? No, I didn’t think so! I love doing things I’ve never done before, especially the things that make me feel a little bit scared and excited at the same time. Those times that you’re a little bit terrified but don’t want to stop because you’re having too much fun! There’s no better time to try such things than when you’re already surrounded by the unfamiliar. So when my fiance & I found ourselves in Austin, Texas, I was so excited that my dear friend & amazing host Rebecca wanted to take us two-stepping! 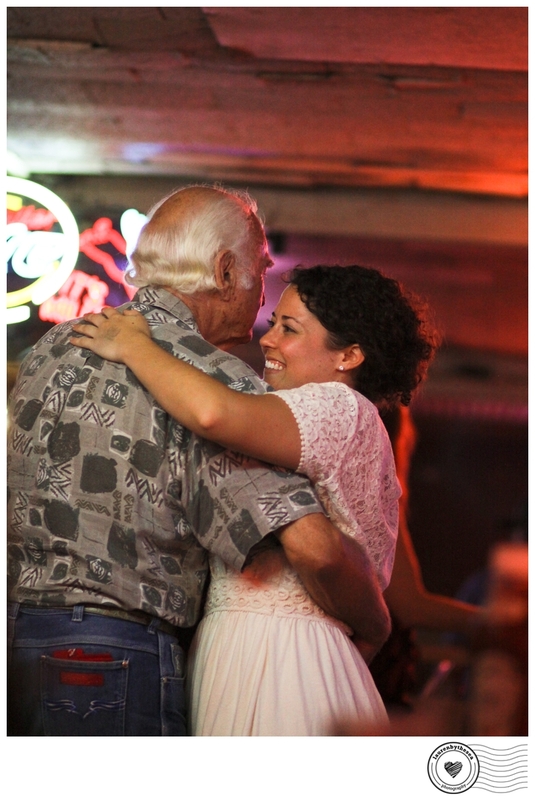 I used to indulge in a little country line dancing when I was younger, but walking into the venue ‘Broken Spoke‘ I knew it was the real deal when I saw men in cowboy hats and heard their Southern drawl. We had some giggles attempting to join in but it was just as much fun to watch and take in the atmosphere of the dance hall. Traditionally it is a man-woman dance but these days it can be man-woman, man-man or woman-woman dancing. People swap partners, mingling & dancing with who ever is free to dance. The basic etiquette is that if you don’t really know what you are doing you stick to the outside. That’s where you would’ve found me then! If you’re a pro or really going for it you will generally be in the middle. Traditionally, the men set the pace and stride of the dance, gracefully leading their partner through the steps. While as we didn’t know the steps we were a little less graceful, but today’s photograph is of the ever so gracious Rebecca who knew her way round the dance floor like it was the back of her hand. Her lovely dance partner I did not catch the name of but suffice to say he was a total gent! It is Rebecca we have to thank for an amazing experience in Texas that left us wanting to come back for more. If you ever get the chance to do some country dancing, definitely give it a go! Even better if it’s in Texas! Maybe watch everyone else until you get some of the moves down but don’t be scared, live a little and hit that dance floor. Texas we heart you! Yee Haw! gorgeous photo Lauren! there’s so much energy and joy emanating from it! I’m so jealous of your experience it sounds like a lot of fun!